Besleria is a large genus of about 160 known species that are seldom cultivated due to their large size, small flowers, and exacting cultural requirements. Members of the genus are found throughout tropical and subtropical Central America, South America, and the Caribbean. 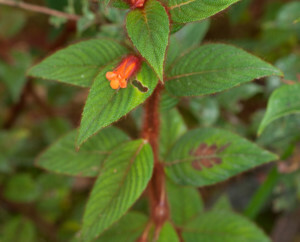 The plants are large herbs or shrubs of wet forests. They require constant moisture and high humidity. The fruit is a berry. Many of the species are poorly known and the genus is badly in need of revision. Besleria is closely related to Gasteranthus.